I am so incredibly blessed and honored to represent Ohio as the 2018 Ohio Rose in the International Rose of Tralee Festival. I had the pleasure of participating in the Festival alongside fifty-six ambitious, intellectual, and modern women of proud Irish heritage. 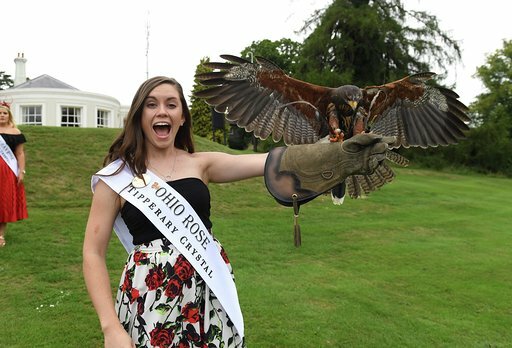 I had countless incredible experiences, including seeing the wonder of “The Dome” in Tralee; feeling the warm welcome of County Kilkenny and County Kerry; seeing the majestic views of the Ring of Kerry; meeting remarkable Irish people; learning falconry and catching a hawk on my arm; and meeting my wonderful rosebud, Alice, a native to Tralee, and her family. I even had the honor of unveiling a plaque in Tralee dedicated to Ohio-native Neil Armstrong, alongside Tralee Mayor Graham Spring. 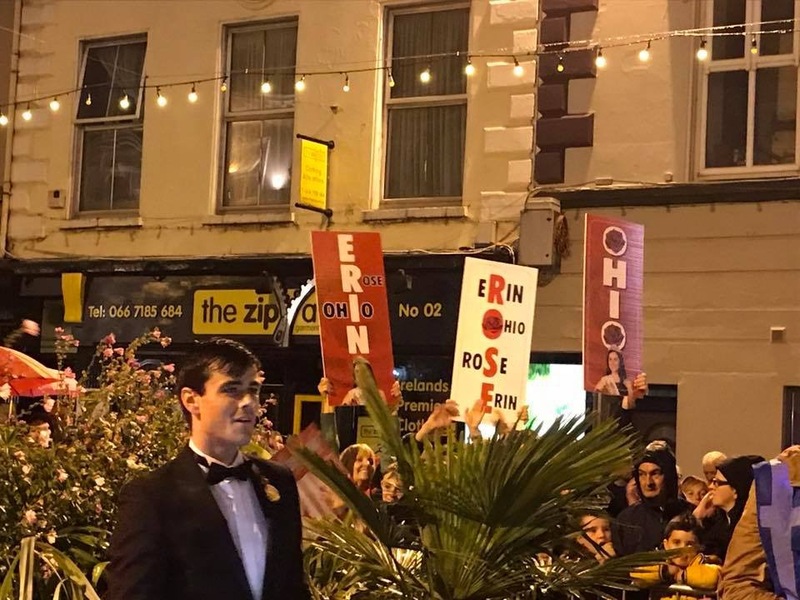 One of the most magical nights by far was the Rose Ball, an extravagant event where I sat with my fellow Roses and Escorts on the Dome Stage and enjoyed an amazing meal, all while looking out onto hundreds of people that had come in support of the International Rose of Tralee Festival and all of us. 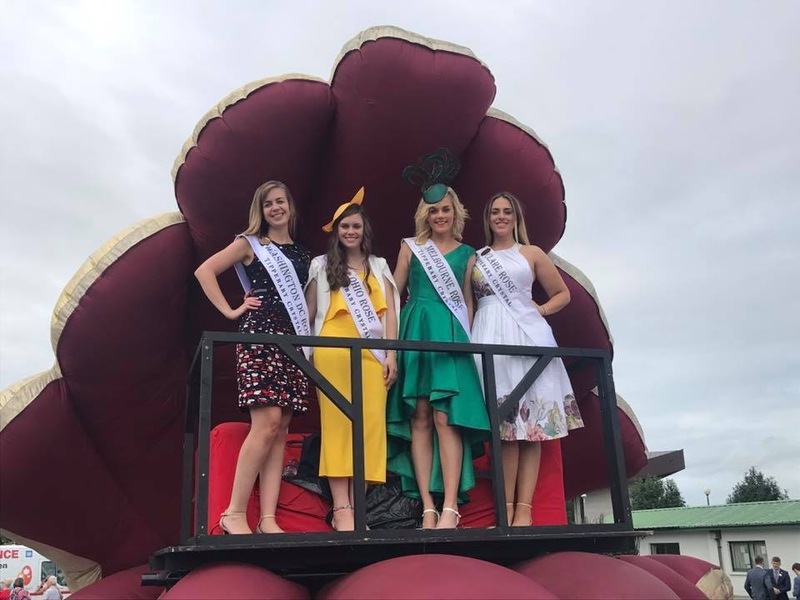 The various parades were also incredibly special, especially during the day parade when I heard an “O-H” from the crowd and, like a current OSU student’s reflex, shouted back “I-O”; I saw 2 strangers in the crowd. 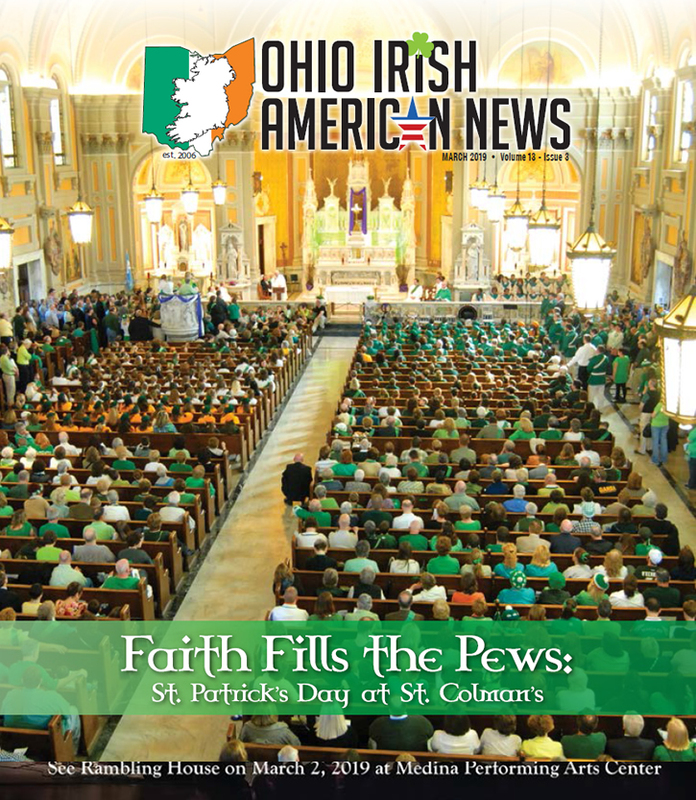 Later, I received a Facebook message from them stating that they were visiting Ireland from Ohio and had to go to the parade to support their fellow Ohioan. 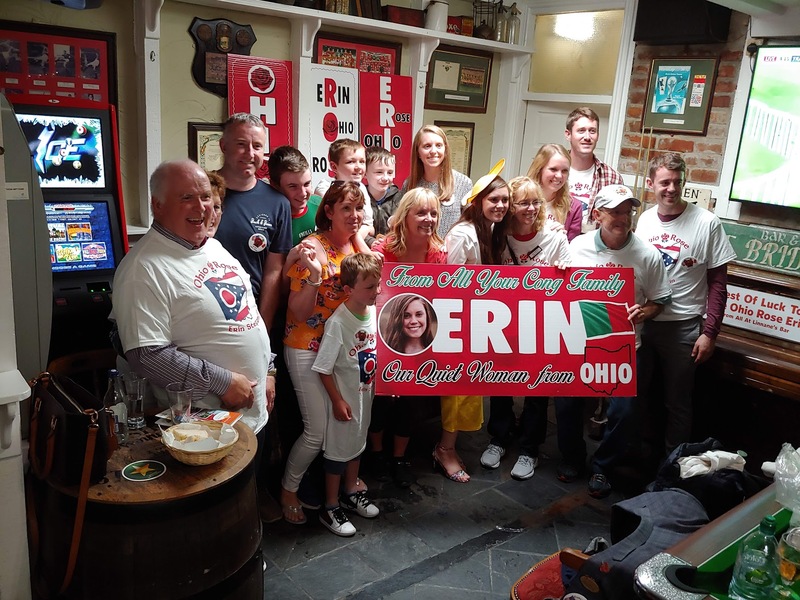 It brought together my family, who braced the cold rain of the night parade with signs and smiles, and strangers who came to support me and show their Ohio pride even from across the Atlantic Ocean. 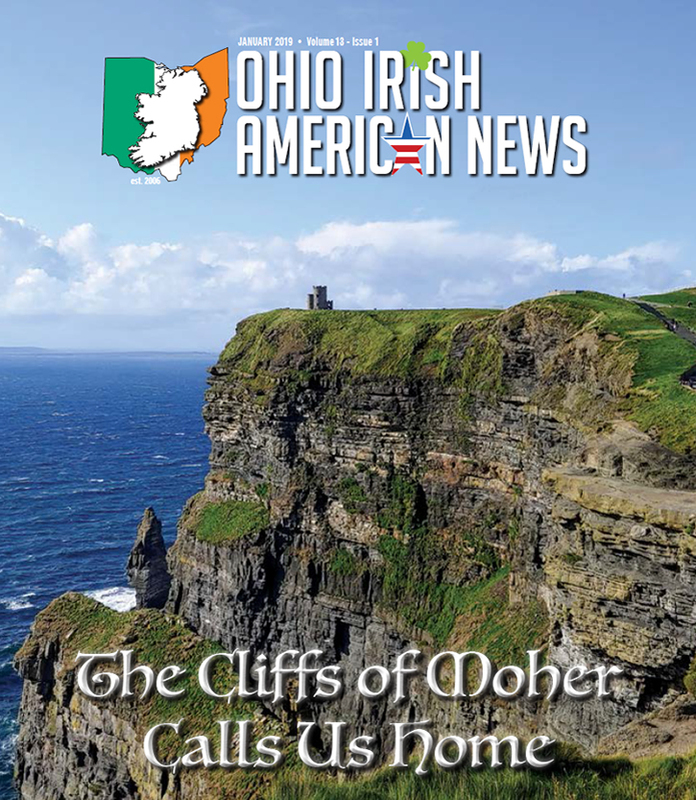 There were so many sites and beautiful scenery that we saw with awe throughout Ireland. Of course, pictures cannot not do any justice to 3D beauty! However, one of the most memorable things I will take back from this are the amazing conversations on the bus rides, late night talks with my roommate Celine, the Kerry Rose, and ordering a large pepperoni pizza to eat with Michelle, the Washington DC Rose, after a busy day of activities, because we just couldn’t bear to miss a second taking everything in. It has been a whirlwind experience after being selected on a cold February night in Westlake; I am so thankful for the support I have received from the beginning. From my family members that travelled across the pond to Ireland to support me and my Irish family from Cong in Co. Mayo who supported me with signs, shirts, and buttons. I cannot express my gratitude of looking out into a crowd of people and seeing my proud Ohio family. 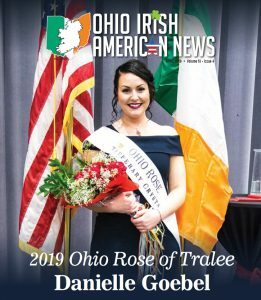 A special thank you to Gormley’s Pub in Rocky River for their support during my Ohio selections and over in Ireland; to the 2017 Ohio Rose, Meghan Adams; and for the amazing team at the Ohio Rose Centre, Denise, Mike, Kyle and Ashley. 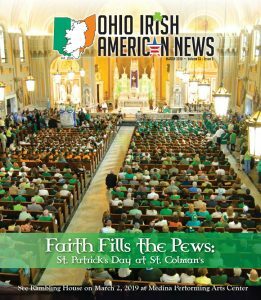 Finally, thank you to the Irish community of Cleveland for their support in my journey and the many well wishes I have received. I have been so welcomed at many events, including the Mayo Society Tea, appearances on the Gerry Quinn Irish Radio Show, marching in the Saint Patrick’s Day Parade andCleveland Irish Festival, and at every turn, I met people from all over wishing me the best of luck in my journey, including Patrick Murphy of Gaelic Storm! 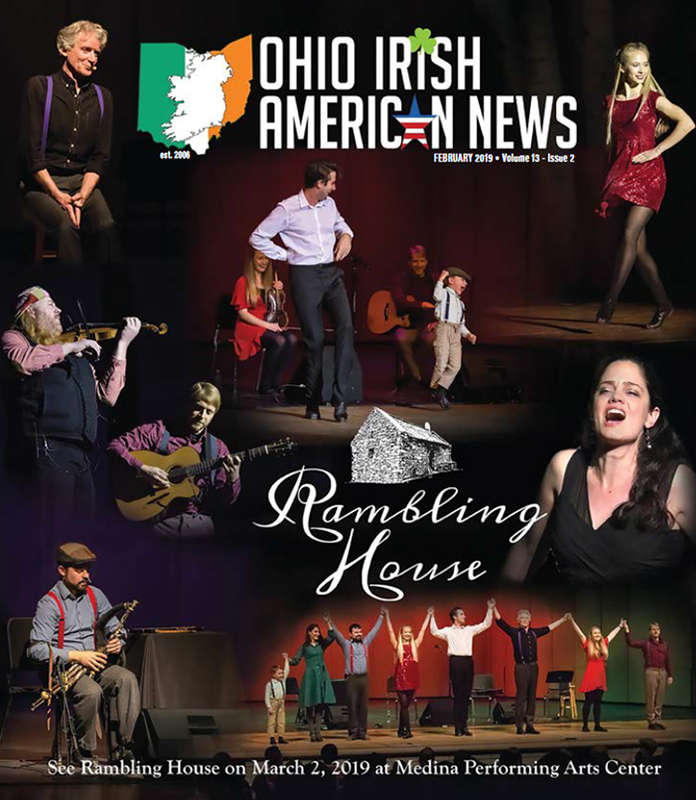 This unforgettable experience took me to parts of Ireland, including Dublin, Kildare, and Kerry, that I have never been before, and I was able to explore these beautiful parts of Ireland with wonderful people by my side. I have many couches to crash on when visiting Germany, Ireland, Australia, Canada, England and all over the United States. 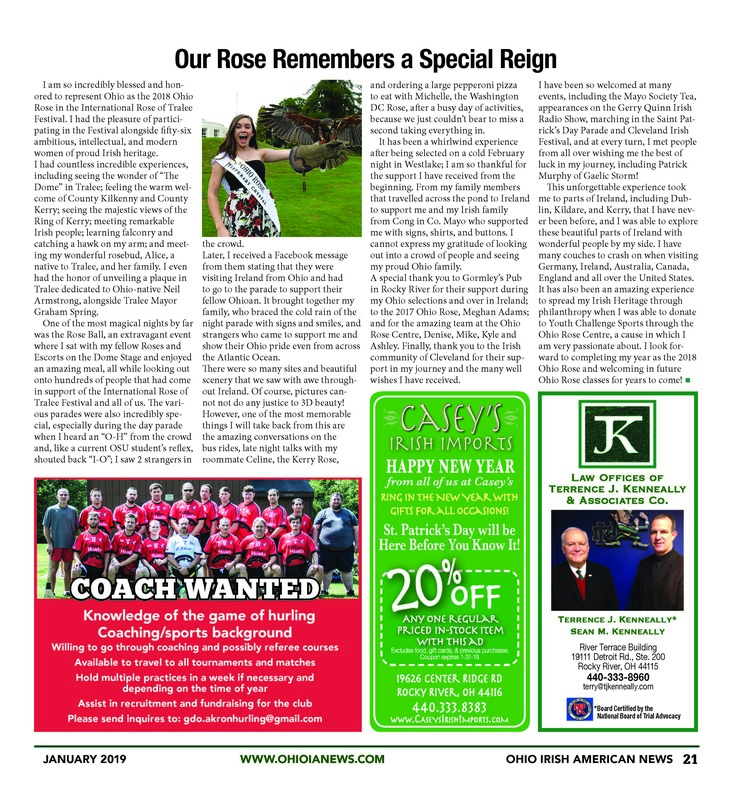 It has also been an amazing experience to spread my Irish Heritage through philanthropy when I was able to donate to Youth Challenge Sports through the Ohio Rose Centre, a cause in which I am very passionate about. 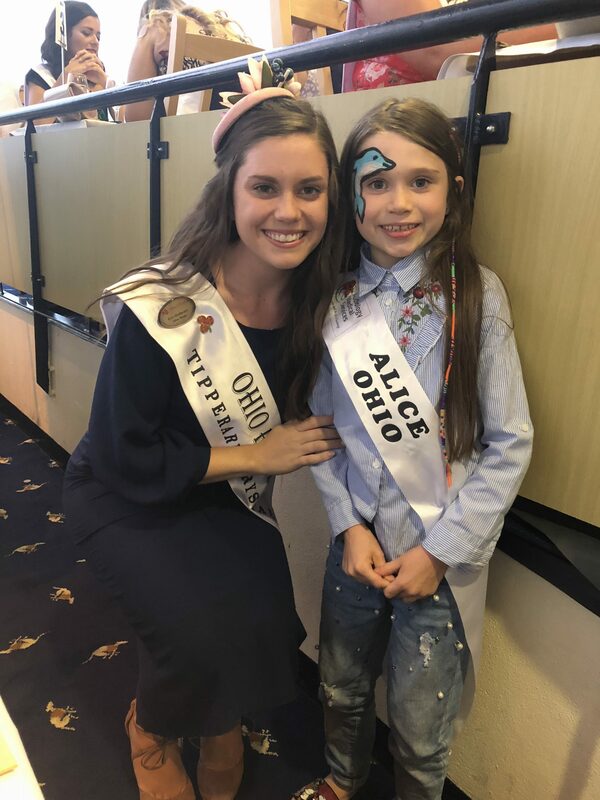 I look forward to completing my year as the 2018 Ohio Rose and welcoming in future Ohio Rose classes for years to come!